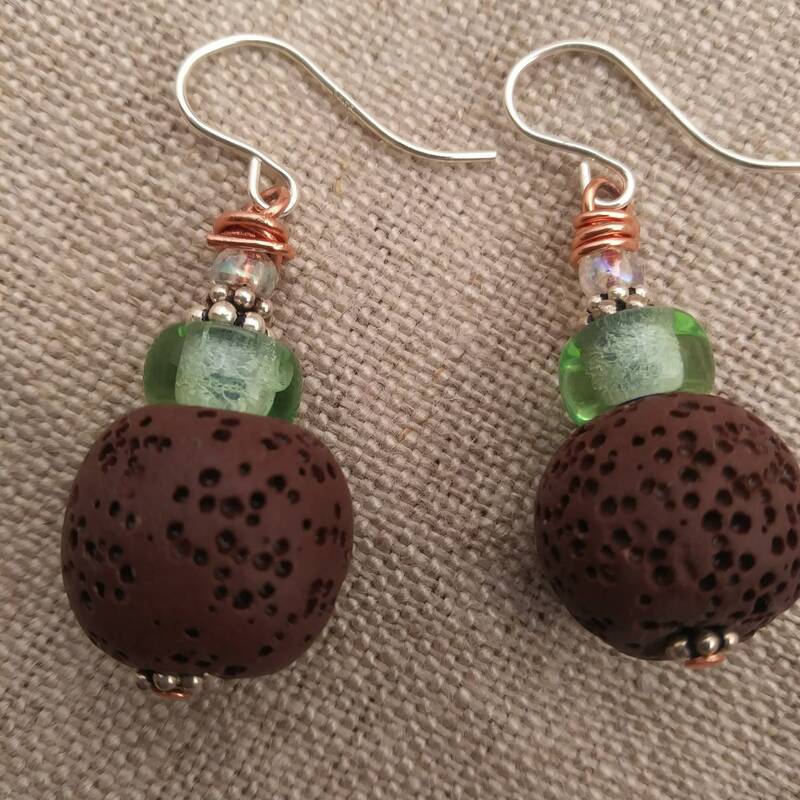 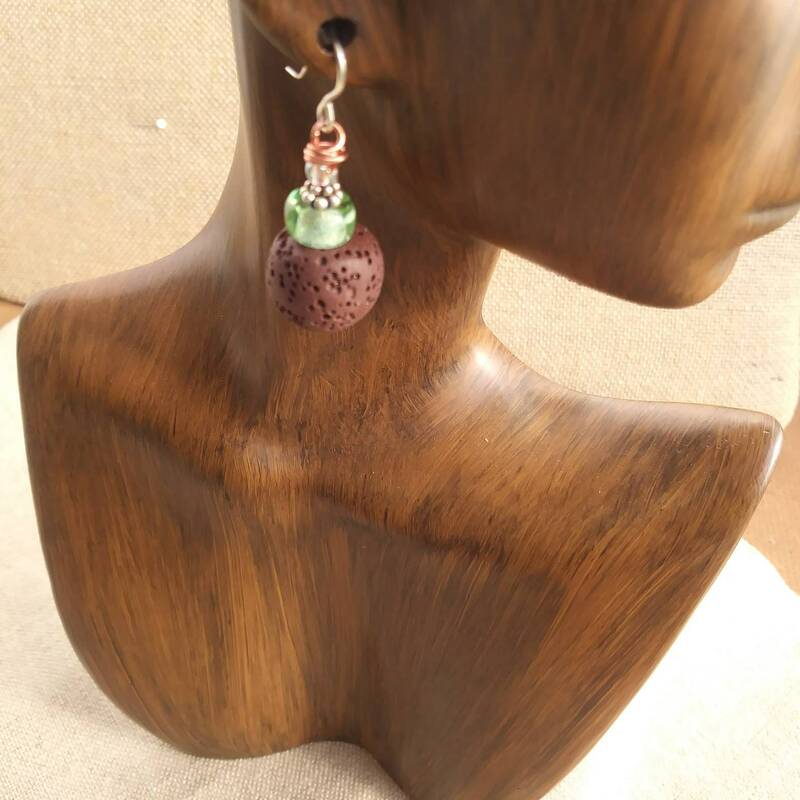 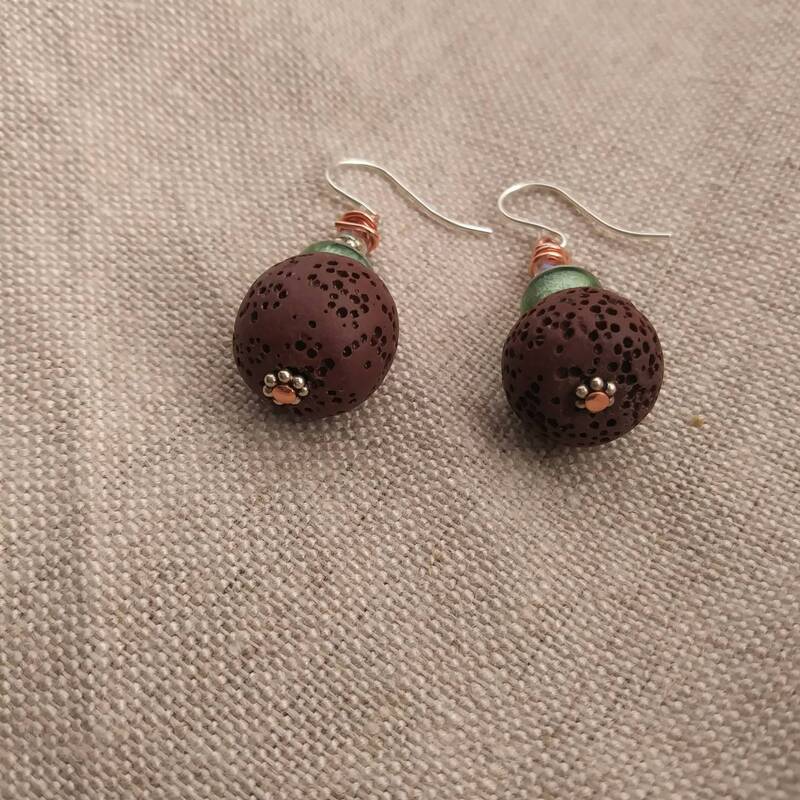 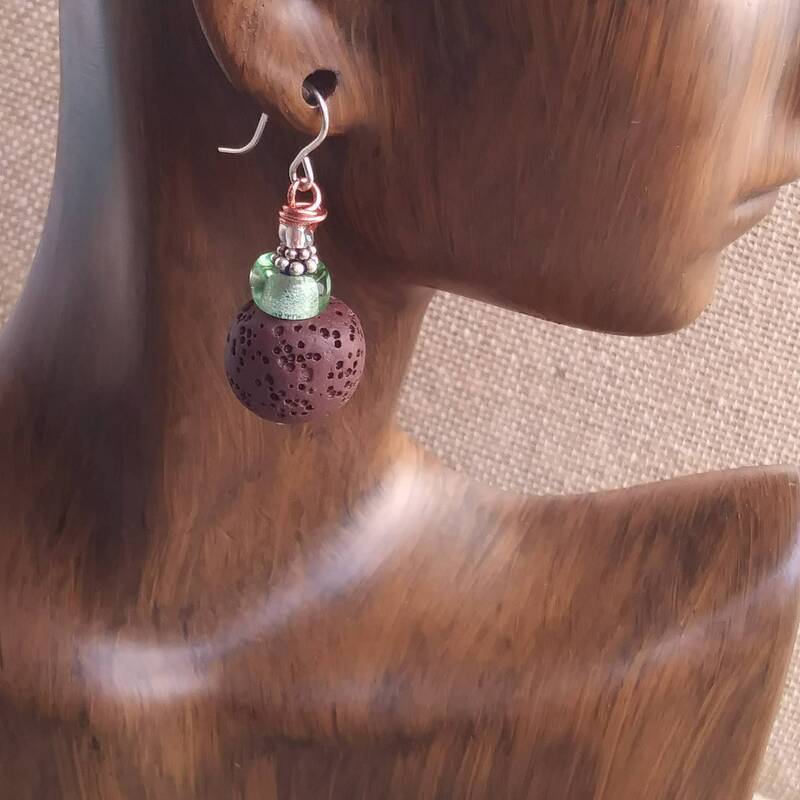 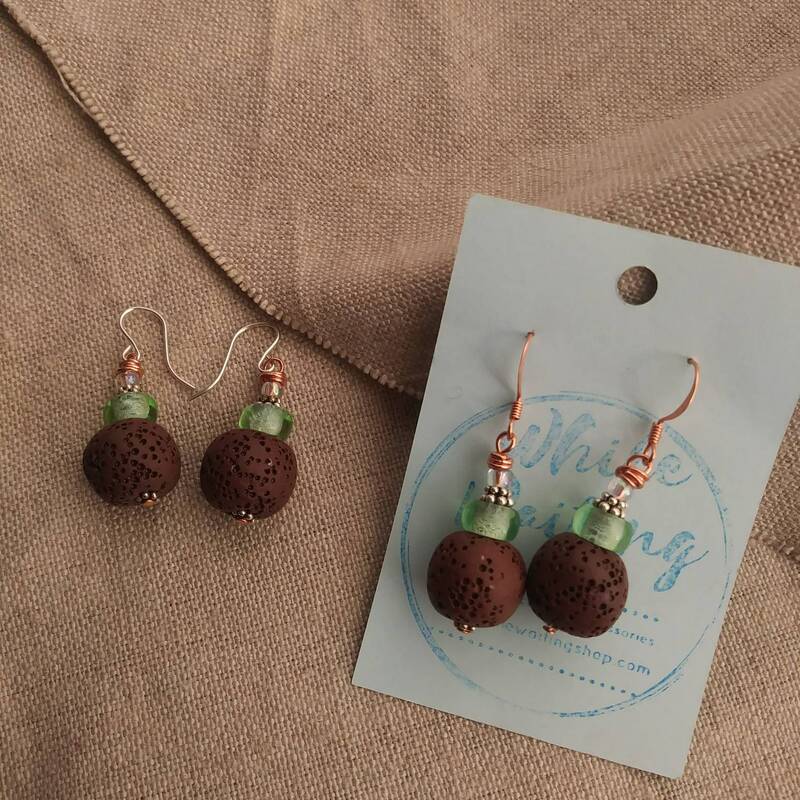 Brown lava stone earrings are perfect for diffusing your essential oils right were you can enjoy them. 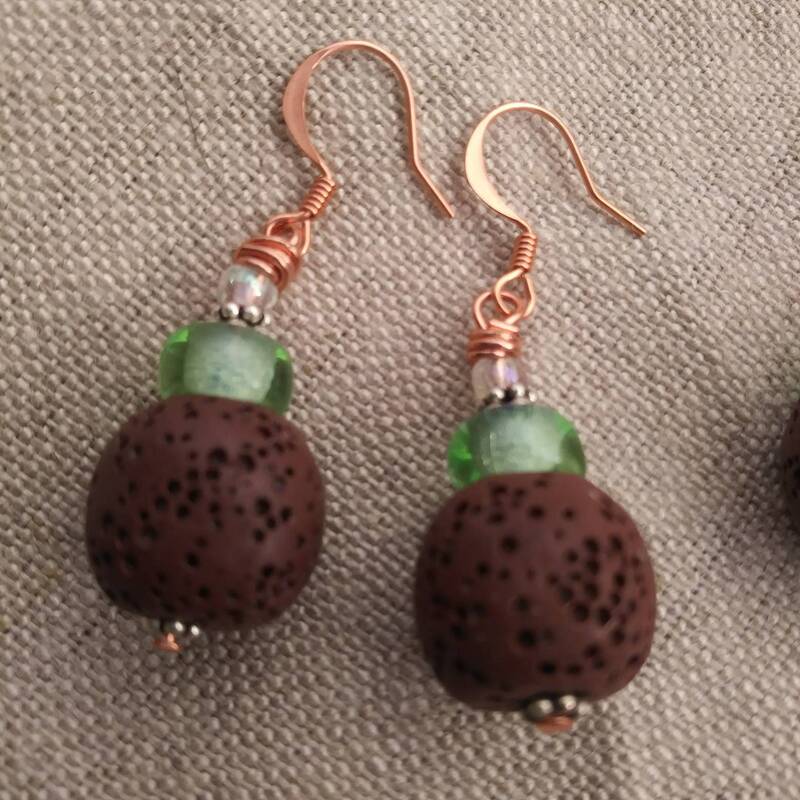 Light green glass beads add a brightness to the natural stone and metal tones. 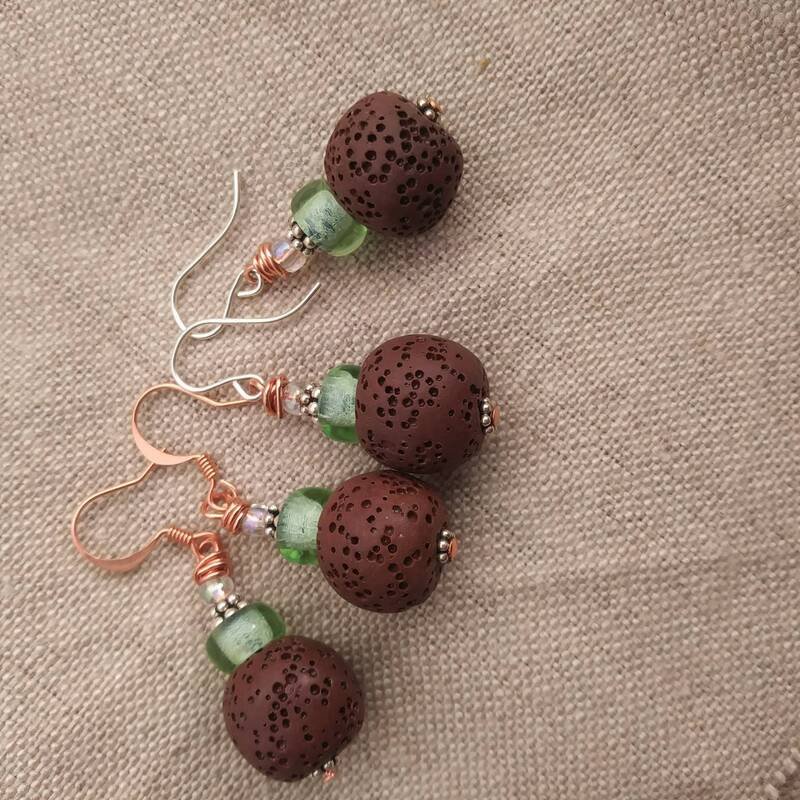 Mixed metals allow for you to choose which attachment you prefer. 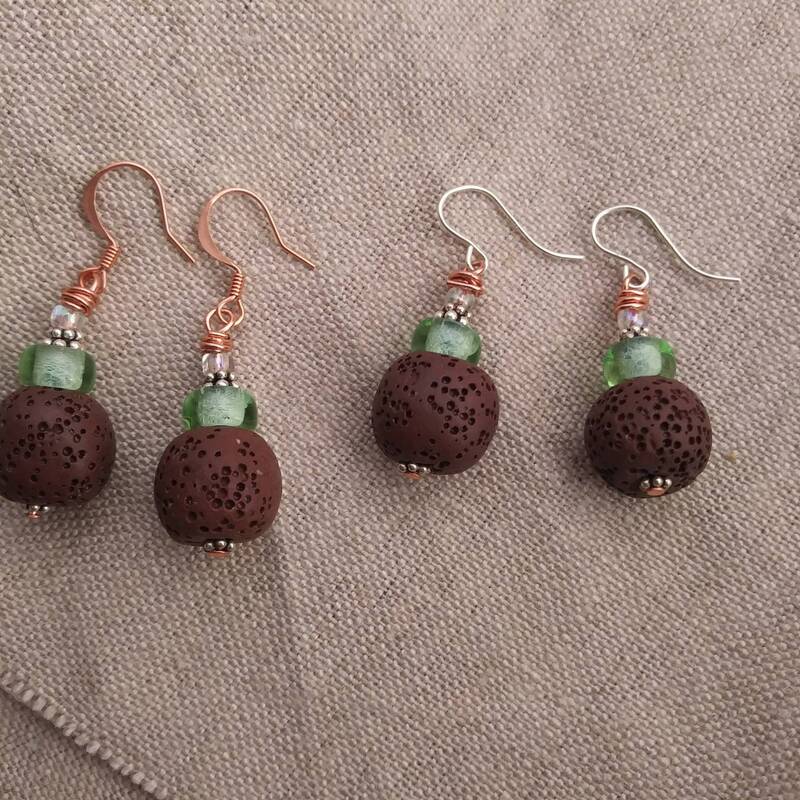 Please choose at check out, sterling silver or copper, clip on or french hook!